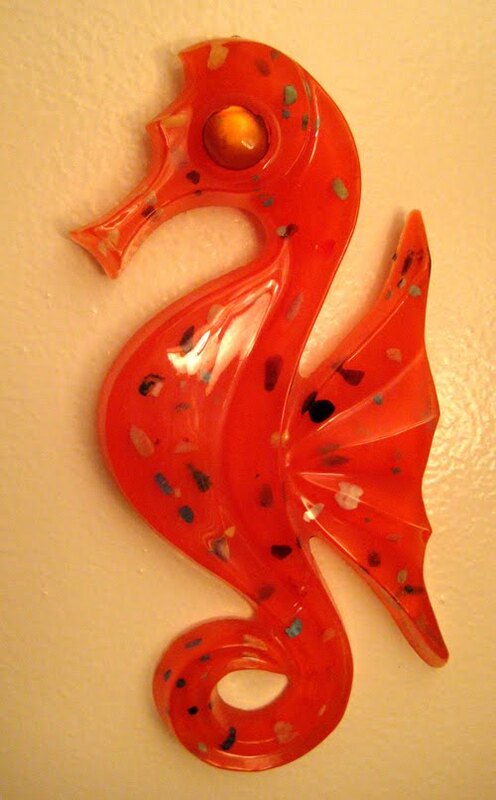 My late grandfather was a crafty sort and made many of these resin seahorses in different sizes and colors. Unfortunately, I had given away all of mine over the years. When my grandmother passed away a couple years ago, I was eager to acquire the last seahorse he'd made. A very nostalgic piece and one I'm happy to share with my children. The seahorse has found a new home in my "new" bathroom. I had fixed drywall, painted, and installed new hardware before the holidays. The scowling mermaid picture keeps Mr. Seahorse company, but I felt like one more tie-in would do the trick. I found a 5 x 7" white shadow box frame in my stash of junk and decided to use it for an underwater themed piece. Using my grandpa's creature as my inspiration, I created another orange seahorse. I added the text, "I keep busy bidin' my time. Something's bound to happen." 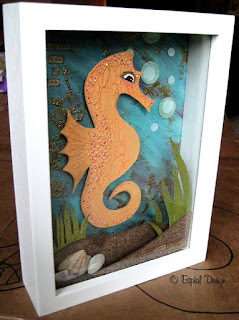 It seemed rather fitting since the seahorse is just sitting in the box...waiting, waiting, waiting. 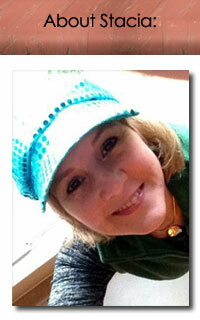 Maybe another poke at my muse? Hey Stacia! Thanks for checking in and for your comment. Sorry I have been inactive on the blog - lots going on at the moment. I'd love to see your story when you're ready!